Marcon Fit-Out has put the finishing touches to a major new McDonald’s restaurant in Belfast. 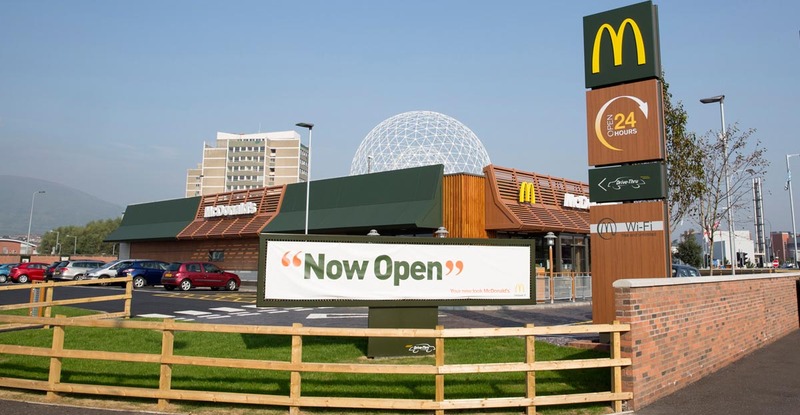 The building at Boucher Road is the global restaurant chain’s first new build restaurant in Northern Ireland since 2001. The 84-seater restaurant featuring a two-lane drive-thru opened on the 19th August. 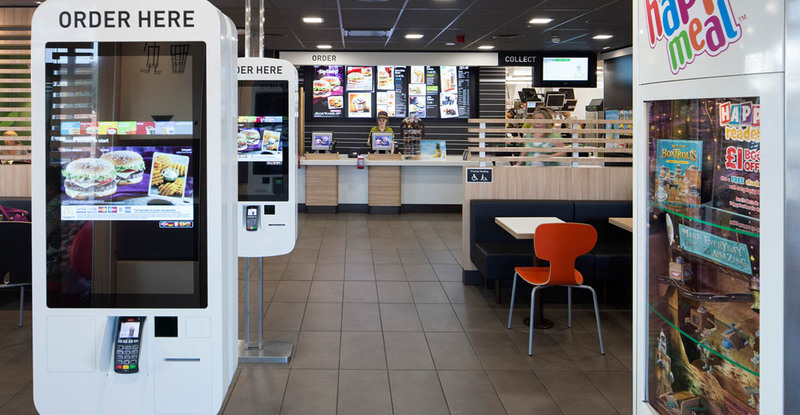 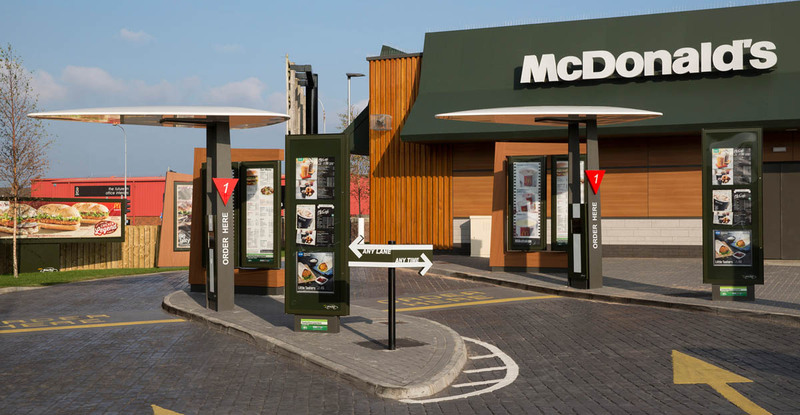 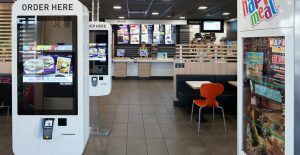 Marcon has undertaken more than 200 jobs for McDonald’s in recent years across Northern Ireland, Scotland and the north of England, including reimages, extensions, refurbishments and installing dual drive-thru lanes. 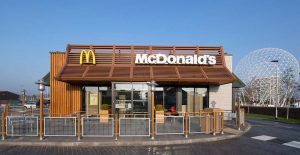 The £2 million project to create the building in Belfast represents Marcon’s largest contract win from the world’s biggest restaurant chain to date – and its first full new build restaurant for McDonald’s. 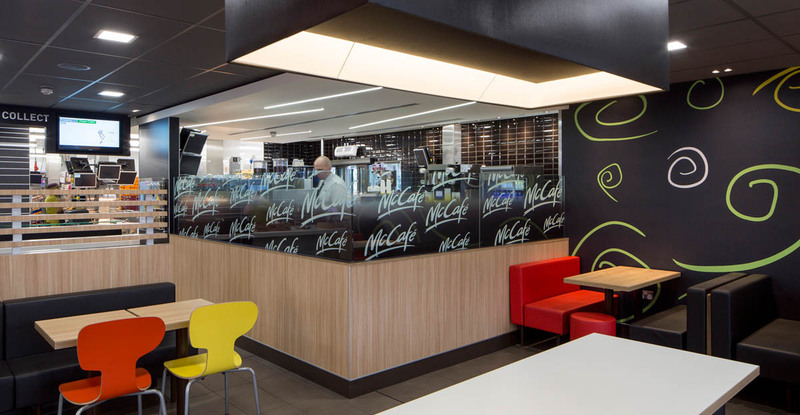 Marcon began work on the 27-week build programme at the start of February this year. 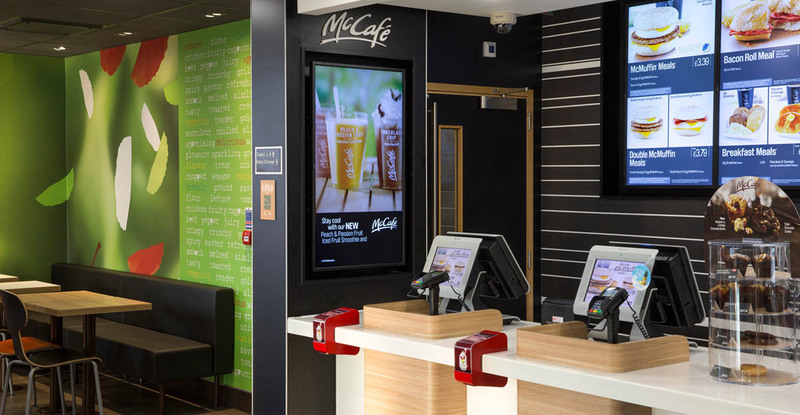 Over 200 people have been employed during the construction and fit-out of the project. Marcon also manufactured bespoke items such as counters, tables, panelling, vanity units and partitions in its joinery workshop in Antrim. 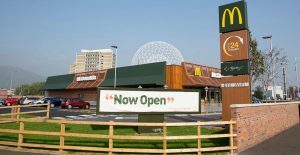 The building at Boucher Road will also be the most ‘green’ McDonald’s restaurant in Northern Ireland. 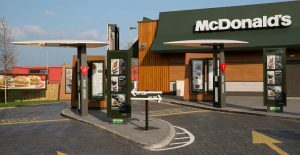 Features include solar panels, low voltage lighting, waterless urinals and an environmentally friendly air conditioning system. 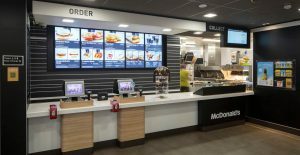 We wanted a local company to do the work on this project. 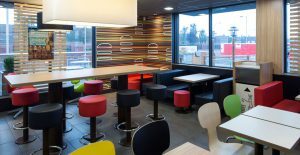 Marcon always do a quality job and I am delighted with their work at Boucher Road.